The Wells Fargo Propel American Express® Card is a practical, no-annual-fee credit card with a points-based rewards system that favors gas station and restaurant spending. The rewards program is fairly generous, and a relationship bonus further sweetens the deal for moderate to heavy spenders. Plus, Propel has a fairly long introductory APR promotion for purchases and balance transfers. If you’re looking for a rewards credit card that pays you back on everyday spending and lets you redeem for a wide range of items, including cash, Propel is worth a closer look. 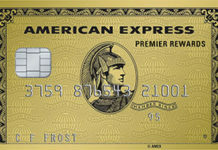 It’s worth noting that Propel has much in common with the similarly-named Wells Fargo Propel 365 American Express Card. Propel 365’s rewards program is identical, but it has a relationship bonus worth up to 50% and no foreign transaction fee. These added benefits are made possible by a $45 annual fee that’s waived in the first year. Earn 20,000 bonus points when you spend at least $1,000 in the first three months. That’s worth up to $200 when redeemed for cash at Wells Fargo’s online rewards portal. Wells Fargo Propel American Express Card earns 3 points per $1 spent at U.S. gas stations, 2 points per $1 spent at U.S. restaurants, and 1 point per $1 spent elsewhere. All point earnings are unlimited. In the 2x and 3x categories, point earnings are divided into “base points” and “bonus points”: 1 base point and 2 bonus points for the 3x category, and 1 base point and 1 bonus point for the 2x category. All points earned in the 1x category are base points. This distinction is relevant for the relationship bonus, as explained below. You can redeem accumulated points by phone or through Wells Fargo’s online portal for cash (statement credits, paper checks, and Wells Fargo bank account deposits), gift cards, travel purchases (including airfare and hotels), and merchandise. If you have a Wells Fargo debit or ATM card, you can also redeem for cash at Wells Fargo ATMs. Points are generally worth $0.01 apiece at redemption, though point values for merchandise redemptions can vary. The minimum redemption threshold for cash and gift cards is 2,500 points ($25 value), and 2,000 points ($20 value) at ATMs. Redemption thresholds for travel and merchandise vary. Wells Fargo Propel American Express features a 12-month 0% APR promotion on purchases and balance transfers. The balance transfer rate applies to transfers made at any time during the promotional period. Every year your account remains open and in good standing, and you maintain a Wells Fargo deposit account in good standing, you get a 10% bonus on base points earned during the preceding 12 months. For instance, if you earn 10,000 base points during a 12-month period, you get a 1,000-point bonus. Note that this bonus doesn’t apply to bonus points earned in the 2x and 3x categories. This card comes with Wells Fargo’s overdraft protection service, which lets you link your credit card account with your Wells Fargo checking account to protect against checking overdraft. If you initiate a checking transaction that results in an overdraft, Wells Fargo covers the negative amount with a cash advance on your Propel card’s available credit line. Each transfer (or, if multiple transfers occur in a single day, each day on which a transfer occurs) carries a $12.50 fee if the total transfer amount is less than $50, and a $20 if the total transfer amount is greater than $50. The regular cash advance interest rate, depending on prevailing rates and creditworthiness), applies to all overdraft protection transfers. There is no annual fee or foreign transaction fee. During the first 12 months, balance transfers cost the greater of $5 or 3%. After that, balance transfers cost the greater of $5 or 5%. Cash advances cost the greater of $10 or 5% from day one. Late and returned payments both cost $37. Propel cardholders enjoy a wide range of potentially deep travel discounts: up to 25% off rack rate at 18,000 hotels worldwide, up to 20% off car rentals with major rental companies, and special fares on select cruises with major cruise lines. No Annual Fee. Wells Fargo Propel American Express Card doesn’t charge an annual fee. That’s good news for thrifty cardholders who wish to avoid diluting their accumulated rewards. Very Good Welcome Offer. This card’s welcome offer is worth up to $200 when you redeem your points for cash. That’s twice as valuable as Capital One Quicksilver Cash Rewards Credit Card‘s welcome offer, which is worth just $100. Long Introductory APR Promotion. Propel has a long introductory APR promotion: 12 months at 0% APR for purchases and balance transfers. This is equivalent or nearly so to some cards designed specifically for interest-free financing and/or balance transfers, including Wells Fargo’s own Platinum Visa and Chase’s popular Slate Card. However, neither of those cards have spending rewards. 10% Annual Relationship Bonus on Base Point Earnings. Propel’s 10% annual relationship bonus only accrues on base points – essentially, 1 point per $1 spent, regardless of category. But it’s still a pretty good deal: If you earn 10,000 base points in a year, which is definitely doable if Propel is your primary credit card, you get a 1,000-point bonus. Many competing cards, including American Express EveryDay Preferred ($95 annual fee), don’t offer annual relationship bonuses. No Limit on 3x Category Point Earnings. There’s no limit on points earnings with Propel, including in the 3x category. If you drive a lot, this is a great benefit that can really boost your Propel card’s value. No Foreign Transaction Fee. This card has no foreign transaction fee, which is great news for frequent international travelers. Potentially Powerful Travel Discounts. As a Propel cardholder, you can earn potentially deep discounts on travel purchases – up to 25% off hotel stays, 20% off car rental costs, and special discounts on airfare and cruise packages too. If you travel frequently, or if you’re saving up for a trip, these discounts can put your plans within financial reach quicker than you thought possible. Minimum Redemption Threshold for Cash Redemptions. You need to accumulate at least 2,500 points ($25 value) before you can redeem for cash or cash equivalents. That’s a drawback relative to competitors such as Chase Freedom Unlimited and Discover it, which allow you to redeem for cash in any amount. The Wells Fargo Propel American Express® Card is a surprisingly versatile card that doesn’t get much attention outside the admittedly large universe of existing Wells Fargo customers. It certainly targets several common types of cardholders: heavy drivers, frequent diners, regular travelers, those planning large purchases, and those with existing high-interest debt. If you fall into any of those categories, do yourself a favor and take a closer look here. The Wells Fargo Propel American Express® Card is an everyday spending card that’s great for people who spend a lot at gas stations (especially) and restaurants. It’s also a worthy option for new cardholders who wish to finance large upfront purchases or transfer high-interest balances from other credit cards, and for cardholders who travel frequently (and can thus take advantage of the travel discounts). If you drive, dine out, or travel a lot, and have existing high-interest credit card debt to boot, this card is definitely worth a look. This card’s lack of an annual fee, its long 0% APR intro period, annual relationship bonus, unlimited point earnings, and solid travel discounts are all helpful. The minimum redemption threshold for cash redemptions hurts its prospects. Overall, it’s a great card for heavy drivers and frequent diners, as well as those seeking interest-free financing and low-cost balance transfers.